To book an appointment with Kelly, please click below. Kelly (Stuart) Archer, MA, RCC (Registration # 11907). Kelly is a young and energetic therapist who has a strong passion for working with children and youth. Kelly has worked extensively in clinical, outreach, government and school settings as a therapist for children and adolescents with mental health disorders, addiction, eating disorders and behavioural concerns. Coming from an extensive background working with high risk youth, Kelly recognizes that some individuals may be nervous about engaging in counselling, may be ambivalent about change, or may already have had a previous negative counselling experience. As such, Kelly ensures to focus first on developing a strong therapeutic alliance, developing the relationship while also encouraging and empowering young people to make positive changes. 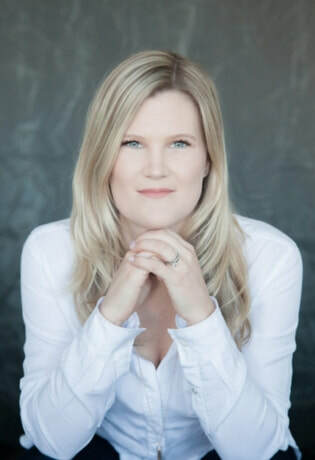 Kelly holds a Master of Arts in Counselling Psychology degree and is a Registered Clinical Counsellor with the BC Association of Clinical Counsellors (BCACC). In addition to her role as a private therapist, Kelly has also worked in various government and non for profit settings providing counselling and support to children, youth, adults and families. Kelly has specialized training in providing Cognitive Behaviour Therapy (CBT) and Dialectical Behaviour Therapy (DBT). Kelly is also trained in Motivational Interviewing (MI) which is an effective form of therapy that helps people find their own internal motivation so they can effect behavioural changes in their day to day lives. What are the Benefits of Choosing a Registered Clinical Counsellor? Registered Clinical Counsellors have successfully fulfilled requirements of education, supervision and clinical experience to the satisfaction of the Association. When you see the RCC designation, you will know that the counsellor has met the rigorous academic training (Masters-level equivalency), clinical experience and supervision requirements that are part of the BCACC’S criteria for registered membership. Kelly is also a certified counsellor with the Crime Victim Assistance Program (CVAP). Victims, their immediate family members, and witnesses dealing with the effects of violent crime may suffer financial losses or injury. The Crime Victim Assistance Program offers financial assistance to help with some of the costs and services needed to assist in recovering from or coping with the effects of violence/crime. Contact VictimLink BC to see if you can access counselling funding through CVAP. If you are registered, the counselling fee for a session with Kelly could be directly billed to CVAP, at no cost to the client. Kelly currently accepts payment in the form of cash, cheques, or by email money transfer. Payment is due at the end of each session unless other arrangements have been made in advance. Please be aware that 24 hours is required to change or cancel a scheduled appointment to avoid being charged the full session fee. You can contact Kelly directly by phone at 778-888-8515 for a free 30 minute consultation and to book an appointment. You are also welcome to contact Kelly through the Three Story Clinic reception by phone (604-563-3093) or email (admin@threestoryclinic.com).